Dimensions: 29 x 30 x 25 cm approx. Stylish and fun, the Wall Mounted Black & White Safari Tiger Felt Animal Head by Fiona Walker England would make a beautiful addition to a nursery or child's bedroom. 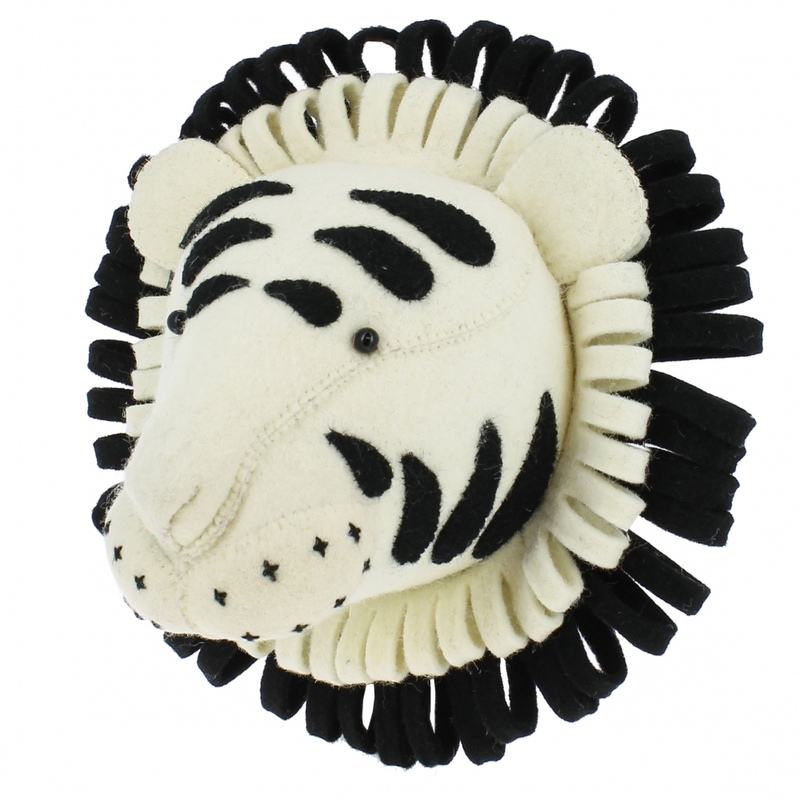 A hand crafted tiger animal head with ruffle collar in striking black and white felt, it will be a bold statement piece alone or teamed up with the coordinating Safari Giraffe from Fiona Walker. An ideal gift for a child or parents who are decorating for a new arrival.